In case you haven't seen any of these panels from the +ConTessa online convention, watch them. I think these will be a good demonstration of why I asked +Stacy Dellorfano and +David Rollins to join me here on Dorkland! If you haven't seen either of these, they're some great stuff. If you have seen them, watch them again. Today starts a new era for the Dorkland! blog, as it gets closer to its 10th anniversary this September. As I mentioned the other day, three new bloggers are going to join me here on the blog. That should make us three or four times dorkier than previously (math isn't a strong suit around these parts, so we'll take what we get). This means that Dorkland! is going to be able to expand into new areas of dorkiness beyond my regular interests and cover things that had previously been beyond the scope of just a single writer. There's already been a swell of writers, designers and publishers wanting us to talk about their stuff, and if you want to be in on this just send me an email at christopher <dot> helton at the Gmail and I will connect you with one of our fine bloggers. Let's meet the new faces of Dorkland! First off, +Stacy Dellorfano, the creator and organizer of +ConTessa, the online gaming convention lead by women and for everybody. She's a fan of comics and Doctor Who and (this might be the strike against her) the World of Darkness. We try to not hold that last part against her. Stacy is the most experienced in blogging of the new people (despite having done it wrong for so long, according to some), so I am hoping that she brings a unique perspective to the blog because of her being from California. +Josh Thompson is our blogging wild card. Also hailing from the American South, he likes playing characters that allow him to stay in the hallway while everyone else is embroiled in the fighting. He's a fan of both old and new schools of gaming, and will lead the charge on coverage of the Savage Worlds game for the blog. When not writing for the Dorkland! blog he cosplays as a morning drive disc jockey. Underneath that smiling exterior, +David Rollins apparently is plotting the downfall of the OSR. At least that's what the YouTube comments say from his panel appearance during the ConTessa convention. David is Canadian and likes maple syrup and real beers. He is a fan of D&D B/X and the Talislanta game. He is here mostly because we can now claim to be an international coalition of bloggers, which is like an Axis of Evil for some. So, these are the new faces of the Dorkland! blog. They will be joining me in this den of iniquity and pushing their own brands of biased opinions. Over the next couple of weeks you will see their voices joining mine around here as we talk about the geeky, dorky things that get us excited (or piss us off). With the 10th anniversary of the Dorkland! blog just around the corner, there are some changes coming. I will make a formal announcement tomorrow, but the first (and probably BIGGEST) change coming is that I will be adding more bloggers to Dorkland. Starting next week a stalwart brand of three new faces will grace this blog. The reasons for this are many. After 10 years, I get a lot of requests for interviews, reviews and other considerations by designers, writers and publishers here on the blog, more in fact than one person can handle on their own (even if that person is me). Having more bloggers talking about things here means that more of these things can get addressed. Also having more bloggers means that the scope of the blog can be widened, and things that I might not have normally addressed can get some coverage here on the blog. 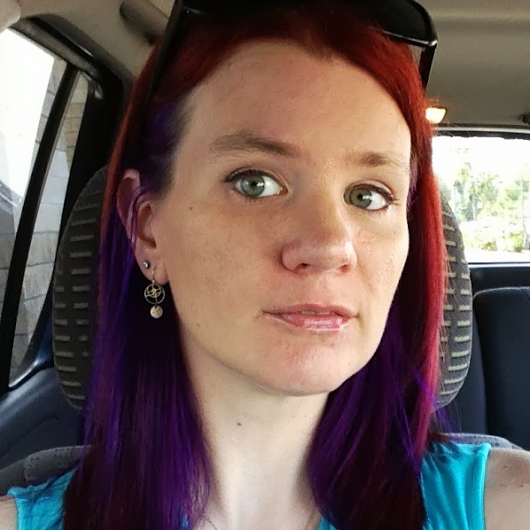 I am excited and nervous about the change. Since the fall of 2003, Dorkland has been my baby, and has reflected my singular and unique viewpoint of the varied worlds of geekery out there. Now, I am expanding that to include other viewpoints, ones that may not always agree with me. That is a little bit scary. However, I've known these new bloggers for a while, and I think that they are going to bring some excitement and energy along with their perspectives. Things may be a bit clumsy over the next few weeks, as we get used to each other and working together on things. Regardless, I will work to keep my same standards for the blog. Blogging may not be journalism in my opinion, but I can attempt to try to keep some journalistic standards. While Dorkland may have biases, we will always try to be impartial and talk about things that excite us, and talk to the people who are doing cool stuff and share that stuff with all of you. We are also in the figuring out stages of stepping into podcasting, in conjunction with the blog. That is probably going to take a little longer, as none of us have ever done podcasting before. I have come close with with the Dorkland! Roundtables (which will continue on an infrequent basis) video blogging, but that still isn't exactly the same thing. There will likely be more video blogging as we all explore the new tools that YouTube is almost constantly unveiling. Expect a lot of changes and excitement around the blog over the next few months. In a few weeks I am going to be starting up a Cyberpunk 2020 game on G+ Hangouts. In addition to boning up on the rules (I don't think that I have read the Cyberpunk rules in at least 6 years), I decided to dust off some fiction on my bookshelves and reread the source material. Ever since my first paperback copy of William Gibson's Neuromancer, I have been a fan of the genre. I remember getting it to read for my first ever airplane trip, when I went off to college in Indiana. I had read about the book in a Rolling Stone review and knew that I had to read it. The rest was history. Today, in this post, I am going to talk about fiction anthologies. For me, the stories in these anthologies represent a cross section of Cyberpunk fiction from the orthodoxy (Bruce Sterling's seminal Mirrorshades anthology) to the revelatory (Larry McCaffery's Storming The Reality Studio) to the apocrypha (Peter Lamborn Wilson and Rudy Rucker's Semiotext(E) SF). Between these three books you get an excellent cross section and sampling of Cyberpunk literature, and some of the people who influenced it as well. 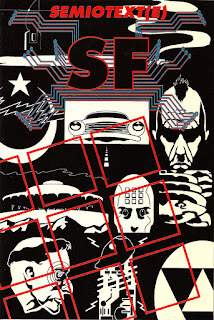 Since it is likely to be the one that people are least familiar with, I am going to start by talking about Semiotext(E) SF. Semiotext(E) is an underground publishing house (originally their books were distributed by the anarchist publishing house Automedia) that specialized in cutting edge cultural and political thinking that bleeds out into both fiction and non-fiction. 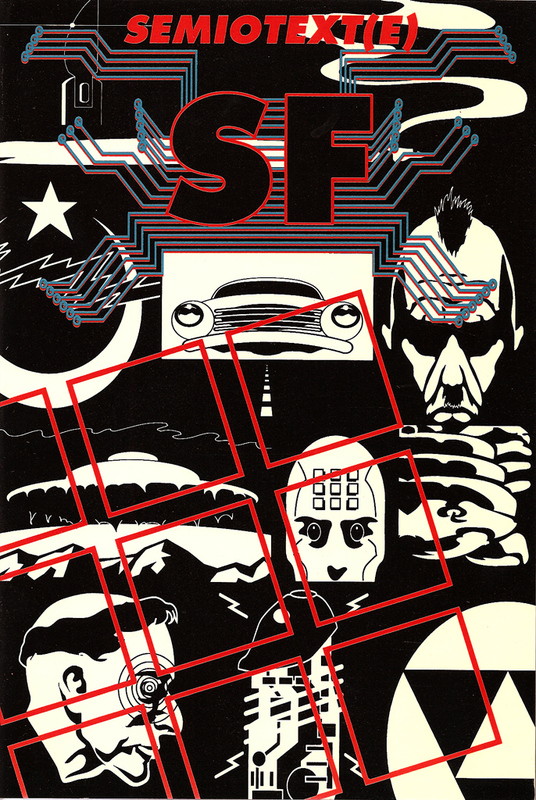 The Semiotext(E) SF anthology looked at the science fiction of the time (a lot of which was Cyberpunk or similar in themes) and put out what they thought was some of the best representations. Assembled by mathematician and science fiction author Rudy Rucker and philosopher Peter Lamborn Wilson, their final product was not unlike Harlan Ellison's Dangerous Visions, in that it showed a side of science fiction that had teeth to it, unlike much of the commercially available fiction. Many of Cyberpunk's "usual suspects" are found in this anthology: William Gibson, Rudy Rucker, Bruce Sterling, John Shirley and Lewis Shiner. Other names, like Rachel Pollack, Hakim Bey, Kerry Thornley and Robert Shockley, may not be as recognizable to many science fiction fans, but they were doing some cutting edge work. Early instigators and influences like William Burroughs, J.G. Ballard and Phillip Jose Farmer are also represented in this book. Storming The Reality Studio is a bit different from the other two anthologies because it was meant to be a college textbook. For me, one of the nice things about this is that it has essays about cyberpunk and postmodern writing in addition to the fiction. 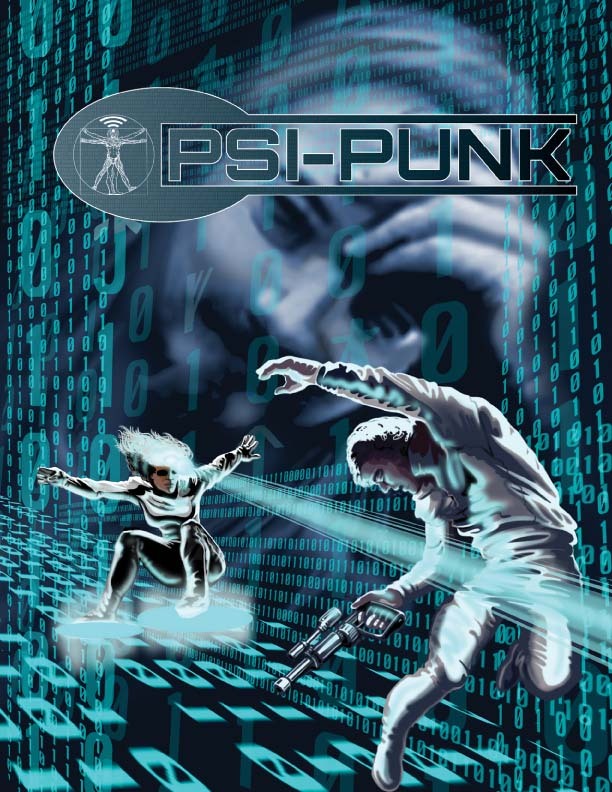 For those without an academic bent, those can be skipped, but I think that they help to give a place and relevance to the Cyberpunk literature. This book also has the most non-fiction of the three anthologies, which might not be a selling point for everyone. It also has the usual suspects: Gibson, Rucker, Shirley, Shiner and Sterling. It also has Ballard and Burroughs, and mixes in Thomas Pynchon and Samuel R. Delany. Some of the reasons that I like Storming the Reality Studio is that it excerpts the often ignored Life During Wartime (the title influenced by the Talking Heads song) by Lucius Sheppard and has a (non-Crow) comic by James O'Barr. 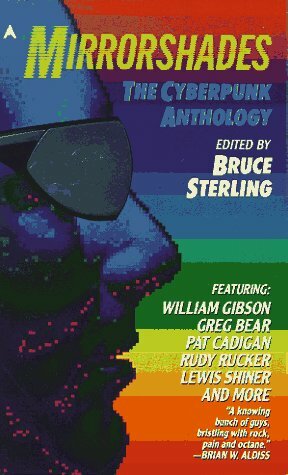 The first Cyberpunk anthology, and one of the things that helped to "kickstart" the "movement" was Bruce Sterling's Mirrorshades. I saved this for last because it is likely to be the anthology that people already have. Many of these stories appeared in the issues of OMNI magazine, the Bob Guccione published magazine of science and science fiction. Obviously, the usual suspects are all here. Unlike the other two anthologies, Mirrorshades doesn't try to go wider than the "usual suspects," it was edited by one of them after all. This isn't a criticism. 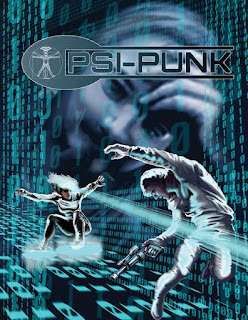 The stories in this anthology are some of the best out there, and for me, Pat Cadigan's Rock On and John Shirley's Freezone are seminal and important Cyberpunk stories. Ironic that they're both about musicians. I'm pretty sure that one (or both) influenced the Rockerboy in Cyberpunk 2020. Now I will leave you to tracking down copies and reading. There will be a book club about these books (I may be kidding about that). Hopefully this starts a few discussions, now excuse me while I get back to my game prep. 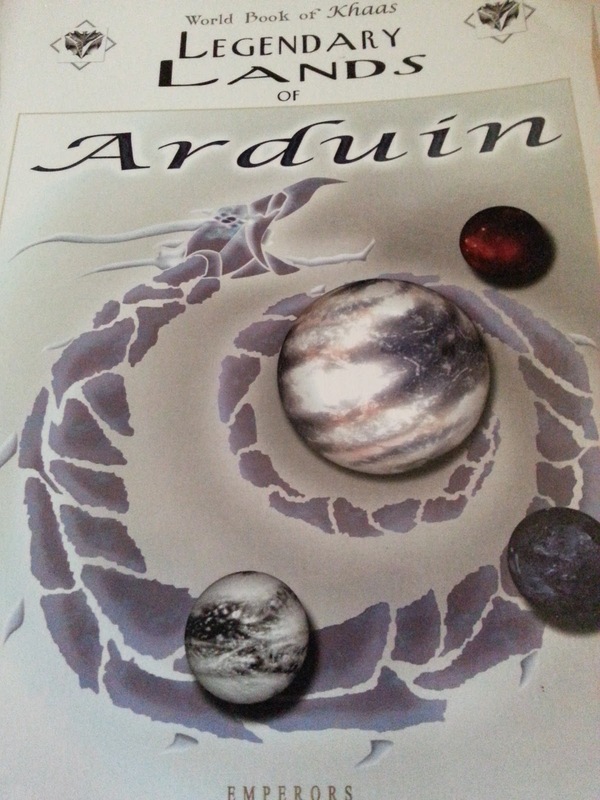 Arduin holds a special place in gaming history. It was one of the early 3rd party "hacks" of D&D, and along with the Perrin Conventions helped to create a "West Coast style" of gaming back then. I have never actually encountered the Arduin materials previously, gaming was just much too regionalized when I was a kid and getting material like this just wasn't much of an option in my neck of the woods. 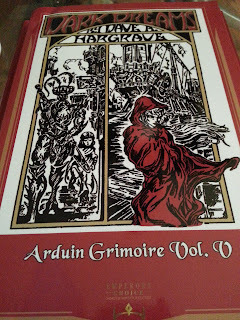 However, I received a big, heavy package from the nice people at Emperor's Choice today, chock full of Arduin goodness. It isn't an understatement to say that there is a lot of stuff here. The (systemless) world book alone is over 800 pages of material alone. I know what my bedside reading is going to be for a while now. 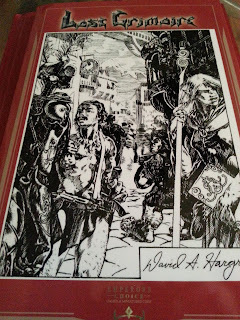 Check out Emperor's Choice's website (the publishers and owners of Arduin these days) while I digest and get ready to talk about David Hargrave's creations. 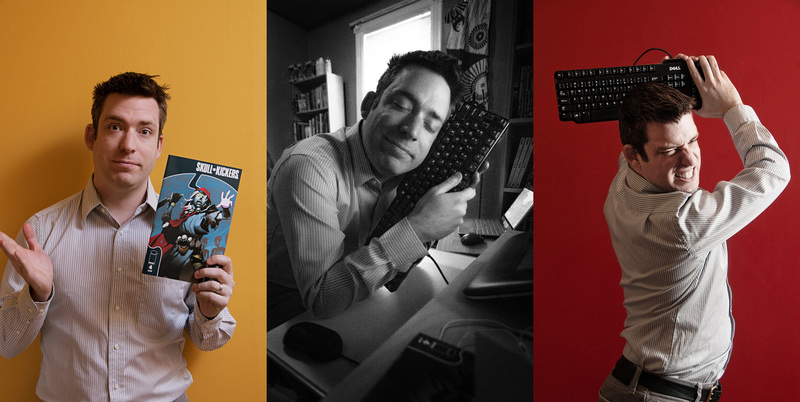 Being the writer of comics like Skullkickers and the Pathfinder adaptation from Dynamite Comics, it probably shouldn't surprise anyone that Jim Zub is a gamer. Jim Zub is a writer, artist and art instructor based in Toronto, Canada. Over the past ten years he’s worked for a diverse array of publishing, movie and video game clients including Disney, Warner Bros., Capcom, Hasbro, Bandai-Namco and Mattel. He is also a project manager for UDON Entertainment (which a few of you should probably know about). He took some time out of his busy schedule to answer a few questions for me about his life as a gamer. With what game did you get started down the path of tabletop RPGs? About how old were you when you started? My brother and I received the classic D&D Basic ‘Red Box’ when I was around 8 years old and he was 12. Our older cousins got us hooked on D&D and we played voraciously, even though the rules were really confusing to us at times. We didn’t realize there was a difference between D&D and AD&D at first, so we were mixing and matching rule books and modules from both systems. We figured it out eventually. I’ve been playing RPGs for almost 30 years and have gone through all sorts of phases where a particular game really hit the spot. A few high points, old and new: D&D, Call of Cthulhu, TMNT and Other Strangeness, Robotech, Vampire the Masquerade, Feng Shui, Adventure! and Pathfinder. What is the ongoing appeal of tabletop RPGs for you? I love the collaborative storytelling nature of it. Everyone at the table is going to contribute to the story and we don’t know exactly where it’ll go but we’re all involved. There’s a wonderful spontaneity to it. With the right group just about any game system or setting can be enjoyable and entertaining. Are you primarily a GM or a Player? Which do you prefer? Since high school I’ve primarily been the GM. I like managing the world and NPCs that whirl around the cast, rolling with the players’ choices and expectations. How is comic writing different from making up stuff for a game? How do the two processes complement each other for you? Running a good tabletop game is about balancing player needs and everyone’s entertainment, while writing comics is about creating a more cohesive plot and dramatic pacing. They both involve a lot of creativity, but GMing a game isn’t just about one story or a singular narrative voice. Playing and running games has taught me a lot about how characters interact and made it far easier for me to “get into character”. I imagine characters in a scene, I know their motivations and I’m able to generate dialogue that reflects their personality. If you could write a comic adaptation of any RPG, what would it be and why? Dungeons & Dragons obviously springs to mind. The name carries such powerful nostalgia for me and gamers at large. Having a D&D story in my repertoire would be pretty great. If it could be a comic story set in the kooky Planescape campaign setting, even better. I’d also be thrilled to push outside of people’s expectations of my work and do something darker like Call of Cthulhu or Vampire the Masquerade. They’re both great properties with atmospheric and emotional intensity. 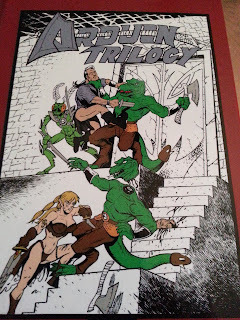 If you have one of your comics adapted to an RPG, which would it be and why? 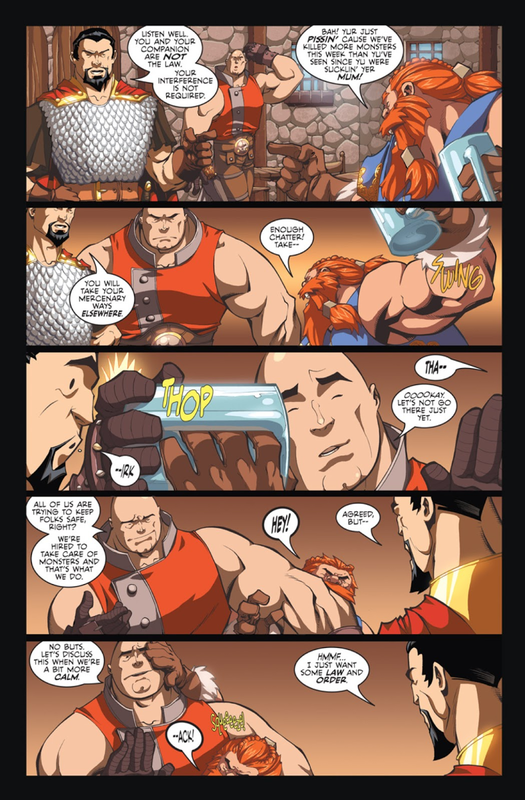 Skullkickers is the natural choice, of course. It’s my love letter to RPGs and sword & sorcery that marinates itself in the pulp fantasy tropes I learned from tabletop gaming. It would complete some sort of cosmic cycle of game-comic-game that would probably tear a hole in the fabric of our reality. My love for Gatchaman is pretty well known. I've loved the idea since I watched Battle of the Planets as a kid with my little brother. Back in the day, Gold Key even did a comic based on the American version of the cartoon. We had a couple of issues of it back then. Now, there's been a live action movie made of Gatchaman in Japan. By all that is holy I hope that there is an English translation. Along with Speed Racer, this has always remained one of my favorite anime series since I was a kid. These are also the two properties that I would most love to design official tabletop RPGs for. However, don't be surprised if Gatchaman or Speed Racer sneaks into my new edition for HeartQuest. These guys may have to sneak into 4C Space. I already have an idea for one Earth-based group that deals with aliens. Adding Science Ninjas would make the sneaking even easier. This is a great trailer. Watch it over and over. The things that can inspire us as game designers are many and varied. The trick is to retexture them in such a way that they are new and fresh, while still having a nod to the originals. That can be a thin line to tread a lot of the time, and it isn't always successful. Some say that there really aren't many original ideas anymore. This is probably true, but there are ways to present things that are new, or at least new to you. I think that a game designer should have their own unique viewpoint that they stamp on things, so even if you are just doing a knock off of someone else's creations you can still do it in a way that makes things look new. Developing that viewpoint is what can be difficult. Designers should look outside of the comfort of what they would want to do in their everyday life. Look for new books, new movies, new music, new voices that speak of different perspectives that will enrich what has already formed your worldview. A lot of designers and gamers are anti-anime, so taking a concept like that from Gatchaman and turning it inside out, so that it doesn't look like anime to the unbelievers, can take some work. Look at the characters from a horror viewpoint, and turn them into occult investigators. Make the giant monsters into something summoned by unscrupulous necromancers. There are many ways to take something old and turn it into something new. This is how game designers should be thinking, always outside of the box. Look beyond the fantasy novels, and mouldering books of the Appendix N, and make your fantasy worlds something different. Look into the science fiction of other nations, cultures who might not speak English, for clues as to how to take your own ideas into new directions. There's a big world out there, just outside of the zone of what we may normally read or watch...embrace it. For the last year or so I have run a regular weekly game by Google+ Hangouts. We rotate things, and have even switching off GMing a couple of times, but we have had mostly that same core group of people for the weekly game that entire time. I told the story of how our G+ Hangout on the Air gaming started in a couple of posts here on the blog already, so I won't go into that. But after doing this, both in live broadcast and private hangouts, I was asked to join the panel and talk about using Hangouts for online gaming. The panel was run by +ConTessa organizer +Stacy Dellorfano, and the other panelists were +Kristin Carlson (of +Roll20), +Rachel Ventura (of +Frog God Games) and +David Rollins (of Canada). 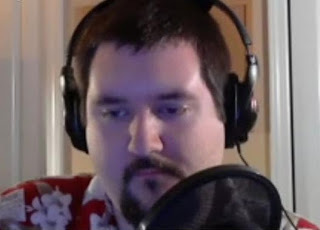 David has done a lot of playtesting via Hangout, and he and Stacy are in my weekly hacked Swords & Wizardry game. There were varying levels of experience with Hangout Gaming, so that added some depth to how we addressed things. Rachel and Kristin also gave their experiences with using Virtual Tabletops (VTTs) in online gaming. It was very informative. I was resistance to online gaming for a very long time, but I am glad that I have started doing it, because I have spent the last year gaming with a great group of people that I now consider to be (almost) friends. Seriously, though, if you haven't tried Hangout gaming, or any version of online gaming, because it "isn't the same as gaming face to face," I really think that you should at least give it a try. This has been some great gaming that I would have missed out on if I hadn't decided to give it a try last year. Super-hero comics are filled with divine, infernal, celestial and extradimensional beings. It isn't unusual for a god or demi-god to join a team of super-heroes in any of the comic book universes. 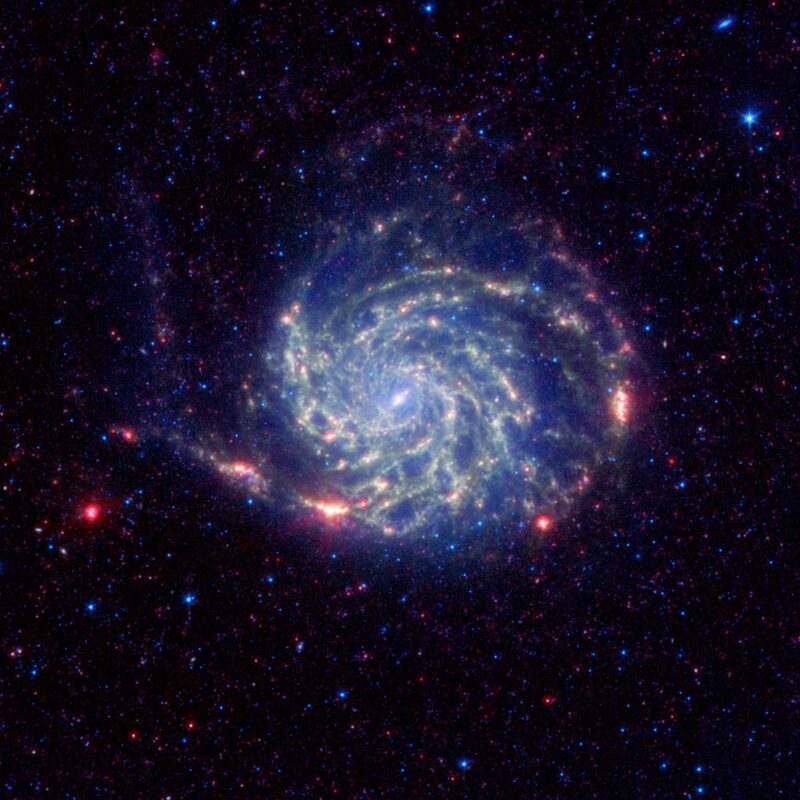 In this 4C Space post I talk about a group of celestial beings wandering the universe following a divine plan, and sometimes seeking vengeance in the name of their Lord. By the way, if you aren't familiar with the 4C rules, check out the page that I made for them here. I spoke to John Wick about his background in gaming on the Dorkland! Roundtable. As many of these have ended up, he and I talked more than a bit about the impact of Kickstarter on tabletop RPGs and how publishers and designers who wish to remain successful at crowdfunding need to establish an economy of trust with their customers. More and more, I think, those publishers and designers who misspend the money raised through Kickstarter as well as their time with chronically late projects will find it harder and harder to raise money through this method. Check out our conversation, and see us talk about all of this and more. To me there are two schools of fantasy fiction, as it applies to gamers: the fantasy fiction they think represents their campaigns and the fantasy fiction that does represent their campaigns. 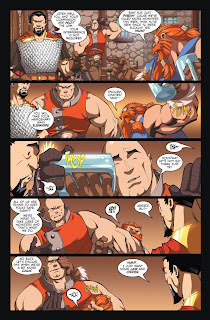 Skullkickers from Jim Zub and Image Comics is very much in the latter category. I finished this week the first trade of Skullkickers, it was my first exposure to the comic (although I had heard a lot of good comments about it online. Skullkickers, like a good band of fantasy adventurers, takes its name from a "heroic act" done by one of the characters during a fight with the big monster. I won't spoil it, but I wouldn't be surprised if people tried this with their characters in fantasy games. 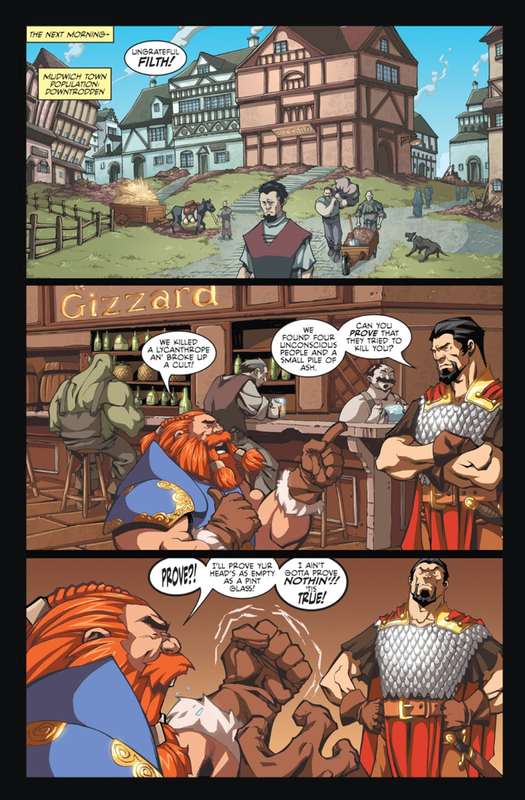 The characters in Skullkickers spend a lot of time in bars, not surprisingly. If anyone else's fantasy campaigns are like the ones that I run, everyone's characters spend a lot of time in bars. I enjoyed the art, and the fast pace of Zub's writing. They come together to give the comic an animated cartoon feel that I really liked. It has an anime feel to it that, while not everyone may like, it definitely appealed to me. The art as much as the writing adds a lot to the characterizations of our protagonists (I hesitate to call them the heroes), which is interesting because the characters aren't actually named in story. To be honest, I didn't even notice this until I was reading the introduction to the reprint of the first appearance of these characters (from the Image Comics published Popgun comic) talked about how The Man With No Name was an influence. Considering some of the terrible character names that I've encountered in my 30+ years of gaming, I think this approach is a good one. The more that I read of Skullkickers, the more that I want it to be turned into an RPG, to be honest. I think that it would fit well in a game with an old school approach, like Swords & Wizardry or Labyrinth Lord. 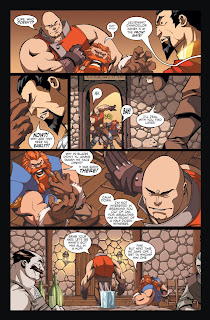 I don't know that I would want a character to have to deal with Shorty and Baldy during an adventure (most player characters are already disruptive enough) but the world of Skullkickers is very engaging and I want to explore it at ground level, inside the world, as well as read more of the comics. 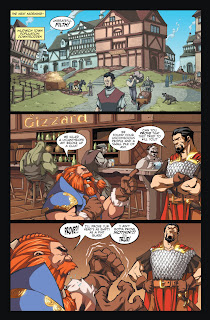 It is interesting that I am not a big fan of fantasy fiction, preferring the works of only a couple of authors in fiction, but I love it when fantasy is done in comics. Part of me would love to see a crossover between these guys and Travis Morgan. OK, so, do I recommend buying this comic? A most emphatic yes. This trade is one of the most exciting comics that I have read in recent months. If, for some weird reason, you need to be further sold on this, there is a webcomic version of the early adventures of these guys. But you really should pick up 1000 Opas and A Dead Body on your next trip to the comic store. It is just that much fun of a comic. 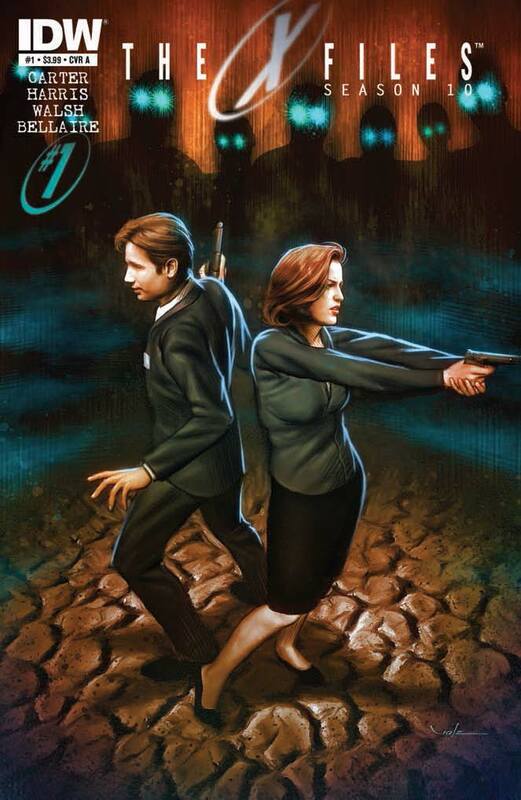 There is a new X-Files comic hitting the news stands and comic shops today. Is it worth picking up? After the movies. After the television show. A new X-Files comic from creator/Executive Producer Chris Carter and IDW Publishing. Now you can see the cover and the first few pages of the book. IDW Publishing and DC Comics crossed over two of the venerable properties of science fiction: Star Trek and the Legion of Super-Heroes. The Legion has almost a decade on Star Trek, but they are both the product of the hopefully optimistic sub-genre of science fiction that was prevalent in the 50s and 60s. Thankfully, this mini-series (written by the ever prolific Chris Roberson) did not take the route of all too many contemporary comics by adding a veneer of "reality" to this hopefulness by making the characters suddenly grim and gritty. The story is steeped in the mythology of both universes, and the characters are true to their origins. Roberson has done a much better job than a lot of crossover writers in this regard. I think that I would have liked it better if the motivation behind the crossover was from the original Star Trek series instead of something from The Next Generation, but overall that is probably a minor quibble. I did like the little touches of characterizations, like Kirk flirting with Shadow Lass or Cosmic Boy talking about history. I do think that the bits between Spock and Brainiac Five probably should have been a bit more contentious, but I think that Brainiac Five's exasperation with Spock, at times, was a good handling of how the character would react to having to deal with another intelligent scientist being in the room. There were a lot of characters to deal with in this crossover, but I think that McCoy and Uhura were a bit shortchanged. 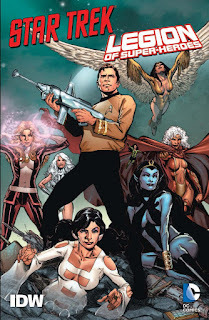 I did like melding the alternate timeline with classic DC Comics science fiction characters, and the Star Trek characters being convinced that they were in the Mirror Universe was funny at times. Overall, this was a well done comic. Roberson's writing was better in this book than in other recent crossovers that I have read by him, but I think that is probably due to having a freer hand from editorial edicts. The writing is sharp, the characterizations are spot on and the overall plot is engaging. Roberson does just to the characters and tries his best to give everyone as much screen time as possible, within constraints of the story. Not only do I recommend picking this up, but I hope that this did well enough to warrant future crossovers. I would love to see a story that allows the characters to deal with each other's universes, rather than the "crossover world" created for this. I think that we need to see a scene where Scotty tries to correct Brainiac Five's repairs of the Enterprise. The trade edition of this comic is out and available in comic stores now. Rush to your local comic store and pick up your copy today. I spoke with +Matt Finch on the Dorkland! Roundtable. A lot of you probably know him as the creator of Swords & Wizardry, but you may not know that as the original developer of OSRIC, he is probably responsible for starting up the whole retroclone trend that has hit gaming. We spent time talking about why retroclones are a good thing, and various bits and pieces about old school gaming. If you haven't checked out our talk, you should give it a watch. Some of the regular comic readers who follow Dorkland! 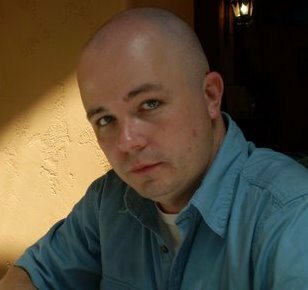 may recognize Cullen Bunn from his comic writing comic books for Oni Press (The Sixth Gun, Helheim, The Damned, and The Tooth) and Marvel Comics (Fearless Defenders, Deadpool Killustrated, Venom, Wolverine, and Spider-Man: Season One), but what you may not know is that he is also a long time tabletop RPG gamer. A recent tweet that he made on his Twitter stream caused me to contact him and ask him a few questions about his gaming. These are the answers that he made. I’m pretty sure it was Dungeons and Dragons. When I was in second grade, a friend of mine brought his older brother’s copy of Tomb of Horrors to school. At lunch, we poured over the art book that was included in the module. There was so much imagination in those pages… and I was hooked. Tomb of Horrors, Barrier Peaks, Castle Amber… those were some of the first adventures I played… and I loved them. I didn’t live really close to a lot of gamers, so I started playing these single-player RPGS from Heritage Games. They came with miniatures, paints, and a little adventure booklet. Cleric’s Quest was the one I most remember. Later, I joined a D&D club at the local library, where I played great adventures like The Lost City, Against the Giants, and Descent into the Depths of the Earth. We played on the school bus in the afternoons and during lunch. Whenever we could find some time. As I got a little older, we played once a week at my house, and we started breaking into games other than D&D… notably Villains and Vigilantes, Star Frontiers, Twilight 2000, and homegrown games like a Transformers game we came up with called Robots and Renegades. I remember that one quite fondly. I got out of gaming for a few years, but around the time Dark Sun was popular, I was drawn back into it. I had a steady group of gamers for a while after that, but for the last several years my gaming has been sporadic at best. Recently, I started talking to some folks about getting a new regular game going, but we’ll see how that goes. There are a number of games that I really like from a game system or game world standpoint, but most of my favorite games are tied directly to campaigns or even a single night of gaming that really stood out for me. Dungeons and Dragons (Basic and Expert, Advanced, 2nd edition, and 3.5), Star Frontiers, Gamma World, Villains and Vigilantes, GURPS (in particular the Horror, Space, and Vampire settings), Dark Conspiracy, Vampire: the Masquerade, Deadlands, QAGS, and (my all-time favorite) Call of Cthulhu. At their best, role-playing games can be great exercises in collaborative storytelling. My favorite games are the ones where everyone is really engaged in telling a great story and building interesting characters, regardless of rolling dice and the rules and such. Sure, there’s an appeal to rolling dice and bashing monsters, but that’s not my favorite aspect of gaming. If mechanics and the like were the only appeal, I’d stick with card games or board games. Also, getting together with friends for a few hours every couple of weeks is always fun. I much prefer being a GM. There are only a couple of other players (primarily with Call of Cthulhu, Dark Conspiracy, and D&D) who have GM’d a game that I enjoyed. Maybe I’m too much of a control freak. How is comic writing different from making up stuff for a game? How do the two processes compliment each other for you? I don’t know that there’s a lot of crossover for me, especially because I don’t seem to have much time for gaming right now. Sometimes, working on a game can be a nice break from outlining a comic. And if I’m experiencing writer’s block, a little gaming can sometimes help break those barriers. (I think focusing on another type of story can get the wheels turning on other projects.) For most of my RPG games, though, I have an initial rough outline of what’s happening in the world, and then I just let the players derail it. There’s such a broad range. I think Dungeons and Dragons could be rip-roaring fun. I believe a Vampire: the Masquerade comic could be a good, moody, intrigue-heavy book. Gamma World or Dark Conspiracy… or maybe even something like Nightbane or Whispering Vault… might also be a blast from a sheer craziness standpoint. I think The Sixth Gun is the best fantasy comic that role-players could buy from a sheer “idea vault” point of view… and I’d love to see an RPG based on that book. If it ever happened, I’d love to see the rulebook as a resource and guidebook to the world of The Sixth Gun, something gamers and non-gamers could enjoy. 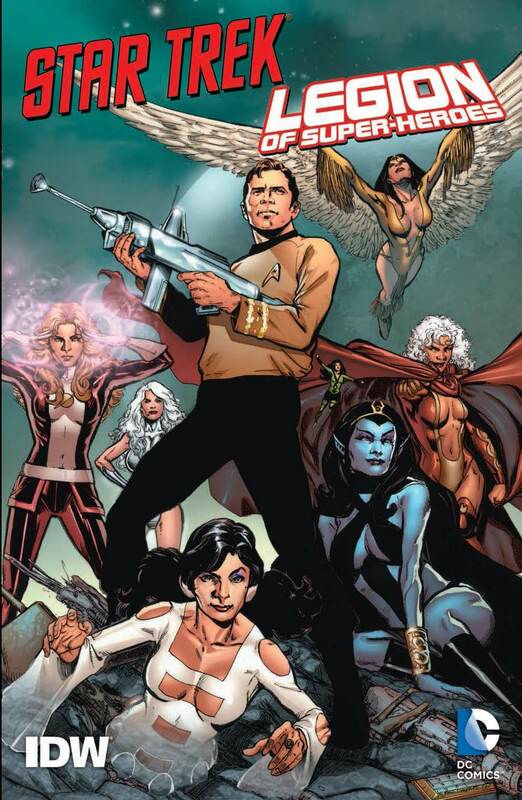 The trade collection of IDW Publishing's cross-over between the Star Trek and Legion of Super-Heroes universes has come out in the collected edition, while you wait for my review of it, check out this 11 page preview from IDW Pubishing that gives a hint at how writer Chris Roberson managed to merge the two settings. I spoke with Anthony Gallela on the Dorkland! Roundtable. As a former Executive Director for GAMA (gaming's one and only trade association), I thought that it would make for some interesting background to talk about that for a bit. Most John Q. Gamers aren't really all that familiar with GAMA and what it does for gaming, so I thought it would make for some interesting listening. We also talked about his time as a designer of RPGs and board games, and we spent a bit of time talking about the Theatrix diceless game that he was a designer of, and how Star Trek influenced the design of the game (hint: it was originally intended to be the system for a licensed Star Trek game). No one is sure what the Hollow Men are, or even if they have a name. All that is known is that they attack passing space craft, in groups of 4 or more, and completely drain them of energy, leaving the dead husks of ships in their wake with the crew and passengers to die. The stories of the Hollow Men have come from those few lucky individuals who have managed to be found by passing ships before they died on their dead ships. The description of the Hollow Men are sketchy, and it is uncertain why some ships are attacked and others ignored. 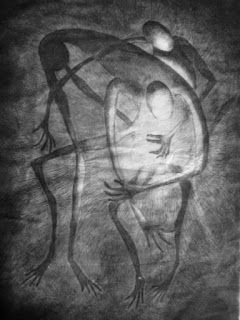 They are believed to be extradimensional in nature. Ships are warned to be cautious in systems known for Hollow Men attacks, and are warned to stay clear of them. Origins in 4C tell you how the character became someone extraordinary. It is a combination of their background and how they became a hero. The Origin also gives you, as the player, some hooks into how to play the character. These Origins have come from science fiction comics, novels and movies. Each character has one Origin, which can be determined randomly or, depending on the style of the campaign being played, picked for a character. 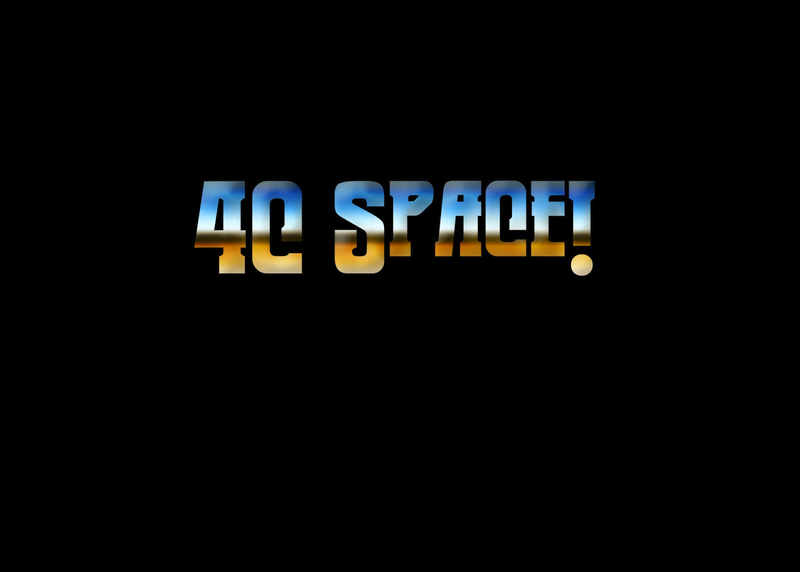 This post isn’t intended to be comprehensive, just to give you the ideas with which to start your own 4C Space games. And if you haven't checked them out yet, be sure to check out the 4C System rules page. This post features some supplemental rules for the 4C System, a super-heroic retroclone. I am keeping exact locations vague in this so that GMs will have some wiggle room in placing these characters in their own campaigns. Space is big, so there is plenty of room for the Paladins and the Eidolon in any campaign. The place where OD&D and Runequest merge and overlap are in the Perrin Conventions. Originally a set of house rules for the play of D&D in his games, Steve Perrin wrote up what became known as the Perrin Conventions. The house rules became popular in many California-based campaigns and also lead to inspire the creation of the Runequest system (of which Perrin was also an original designer). You can also see how these inspired the Holmes revision of D&D as well. It is interesting, also, to see an era thought of as preferring rulings over rules as generating house rules that add quite a bit of complexity to the D&D system. Like anything, there was a lot of variance among gamers and no real standard of play. While some have always liked lighter approaches to the rules, there have also always been those who are interested in heavier, more detailed rules for play. A part of the reason that I decided to post these houserules is because I periodically think about the use of them (or more likely portions of them) in my own Demon Codex game, or at least rules inspired by them. I really like the idea of Perrin's Dexterity roll, but that is probably because I have liked the idea of it in various BRP games over the years as well. Anyway, posting them can start discussion, so perhaps something will shake loose that will inspire me and my design. After this point are the Conventions, enjoy! Per the introduction to Chaosium's All the World's Monsters, vol. II: "Steve Perrin's CONVENTIONS have been used entirely or in part by fantasy role-players in the San Francisco bay area and beyond since they debuted at DUNDRACON I in March 1976. They are revised and expanded here for all those who want to know how people fight these monsters. While the ideas start from D&D, much of the material can be used with any system." Many thanks to Steve Henderson. Clint Bigglestone, Nioolai Shapero, Jerry Jacks, Michael McNeil, Owen and Hilda Hannifen, Dave Harqrave, Dan Pierson, and the many contributors to Alarum & Excursions: may your characters have close shaves and your dungeons be hairy. In a melee round, (which takes up 10 seconds), each character can perform one or more of the functions below, unless he is busy bleeding his life away and is no longer interested. The functions below are listed in the order to be followed, even if some of them can be thought to be simultaneous. For those wishing to subdivide movement into seconds, the approximate seconds within the round during which the action may occur are shown in italics after the description of the action. Anyone attempting to use missile or spell when melee cannot use them, and will strike last in that melee round (see the description of combat for the usual strike order) if he manages (via a dexterity roll) to get a hand weapon free. Otherwise, he will have no strike at all for that round, and must take the punishment if his armor fails. (3). Preparation. The undertaking of something to be completed by the next round or of the end of the current one. Involves complicated procedures such as finding a special item in a full pack, changing dissimilar weapons, pouring oil in front of the character to make a barricade, etc. It should be an activity which will last the whole turn. A DM can vary the speed of completion because of various characteristics. MT: 10 seconds base. (5). Movement Up To 30'. If characters meet within this space, missile fire or spells at one of them after this phase may hit the other, unless their sizes are disparate. MT: 2nd-5th second. (6). "At Hand" Missile Fire. At-hand missile weapons which were not already aimed may be fired at an obvious target. The intention to fire at an obvious target must have been declared during the Declaration of Intent. MT: 6th second. (8). Melee Resolution. Fought out for all who came next to an enemy after the first movement (see 5.). Those who came next to an enemy during the second movement (see 7.) do not have time to strike a blow for this turn, must take any fire from at-hand missiles (see 6. ), but prevent even a prepared missile (see 4.) from being used on them next turn. MT: 4th-9th seconds. (9.) Spells and New Missile Fire. This can be done by unengaged characters who have not moved more than one 30' movement phase. MT: 7th-10th seconds. (10). Bookkeeping. Take this time to add points regenerated, subtract spell points, updating the cheracter for the next round. MOVEMENT - from the basic ''armored man moves 60 feet." The phases of a character who can move 120' (12") can be done as two movement phases of 60' (6") each. The derivations and possibilities are obvious. PREPARATION TIME - time required for complex tasks can be based on a dexterity roll. For every 10% of a roll better than the needed dexterity, a character completes the task one second earlier. Example: a character with a dexterity of 12 rolls a 23. He needed 60, bettering the roll be 37%, or three increments of 10%. His task could be done within 7 seconds instead of 10, leaving him free to meet an attack. If he was spreading oil of Slipperiness in front of himself and an enemy came next to him on the second move phase, that's one enemy down. The dexterity roll would not work on anything which takes a set period of time, like gathering energies for a spell. If the character had rolled an 83, that would put him 2 increments of 10% over what he needed The task goes 2 seconds into the next round. MISSILE FIRE - a wand or stave takes a certain time to be ready for another burst, so only one charga could be expended a melee round. Missile weapons have other limits, which follow. Heavy Crossbow: one shot per two melee rounds, always to be fired in the same missile phase the first one was, unless purposefully delayed. Cannot move. Longbow, Composite Bow, Light Crossbow: two shots per melee round. First either at Prepared or Ready phase (assuming either applies), and then at the New Missile Fire phase. If moving, forsake one shot for every 30' or fraction thereof moved. Short Bow, Modern Guns: three shots per melee round if Prepared for the first one and there is no movement. Lose one shot per round for every 30' or fraction thereof moved. Thus a user of such a weapon could fire a Prepared shot, then run 60' in that round. The same applies to the user of a wand or staff or a Prepared spell or device. Early Gunpowder Gun: one shot per three to six melee rounds, depending on just how ancient the piece is. No movement allowed by firer in a round in which the piece fires. DEXTERITY - the term "dexterity roll" appears throughout these conventions. The ability to do many things, especially combat and magic, as well as complex actions such as changing weapons, turning and firing, opening a box and jumping back, closing a door quickly, etc., depends on a combination of dexterity and experience. Success in the percentile dice roll depends on the following: the basic dexterity roll is a simple roll of 5% per point of dexterity, A dexterity of 3 always has a 15% chance of succeeding; a dexterity of 18 always has a 10% chance (91-00) of muffing it. The type of armor worn can decrease the effectiveness of dexterity. For plate, subtract 2 from the dexterity bonus; for mail, subtract 1 from the dexterity bonus; for bare skin, add 1 to the dexterity bonus. This could be offset by experience. (1). First strike in any sltuation, whether melee combat, spell casting, or whatever depends on who has the highest dexterity. This does not apply to surprise situations, unless it is mutual surprise. Hasted or sped conditions do count. Haste doubles dexterity in this connection. (Wayne Shaw Option: once the first strike dexterity is determined, all haste bonuses, etc., are figured, roll 2D6 for each character and add the result to the dexterity. This will give a little variety to just who gets to strike first.) (Further Modification: a character with a long weapon or a long reach and a dexterity of at least half of his opponent's will have first strike. (2). When a character takes more than 10% damage, and each time he takes damage thereafter, the percentage of hit points he has left shall be found and precentile dice rolled. If the percentage or less is not rolled, the character is knocked back(if less than 50% down) or knocked down (if 50% or more damaged). If not knocked down, roll again to see if the character is knocked back. Knocked Back: a character must make his dexterity roll in order to get in a blow if he has the lesser dexterity and therefore must strike after being hit, or retain his place of first strike on the next round if he has the higher dexterity. Knocked Down: a character gets no strike on that turn (if he has the lesser dexterity) and must make his percentage to get a strike on the next turn. If he does get a strike, it will be the last one of the turn. If left alone, he can regain his feet on making a percentage roll, but if pressed he will stay down, defending himself as best he can, continuing to get in the last shot. Remember: a character must make his percentage every time he takes damage, after the initial 10% damage is taken. (3). One-to-one combat cannot be broken off unless an opponent has been knocked back or down, or the higher dexterity fighter makes a dexterity roll. If the higher dexterity fighter makes his roll, the lower dexterity fighter may pursue, getting first shot, if he makes his own dexterity roll. (4). A combined strength, dexterity, end level score of 30 is necessary to allow a character the use of two weapons in melee combat (and strength and dexterity must each at least be 11). Anyone useing two weapons without the necessary total will add the difference between the necessary total and his total to the number needed to hit his opponent. A dexterity roll must be achieved to use the second weapon in any melee round. (5). When using two weapons, the first weapon strikes according to the wielder's dexterity, and the second weapon as if his dexterity were halved. EXAMPLE: a character with a dexterity of 16 is fighting someone with dexterity 12. The 16-man will get his first weapon in first, then the 12-man will strike with his, and then the 16-man will get in with his second weapon as if his dexterity were 8. (6). A two-weapon man may up his armor class by one by using one weapon as a shield in man-to-man combat. Despite any pluses on the waapon, it acts as a simple shield. Of course, if used as a shield, the second weapon cannot be used to strike. Magic World is a fantasy game from one of tabletop gaming's longest existing publishers, Chaosium Games. Once upon a time there was a role-playing game that thought that fantasy games could be more than the high fantasy tropes used and reused by D&D. 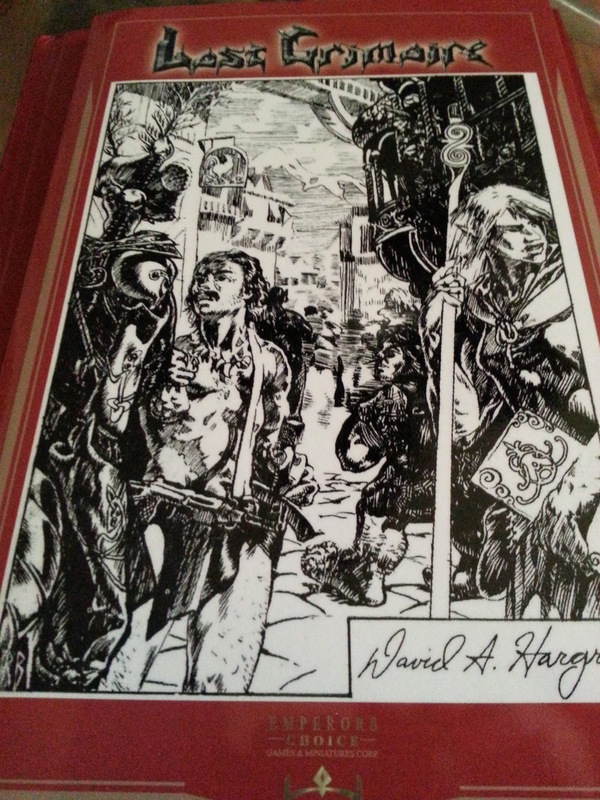 This game was called Runequest, and you have probably heard about it before. Runequest was interesting in that it dealt with some things that RPGs really didn't deal with otherwise: the impact of religion and culture on the game's world and the player characters was probably the biggest things. These ideas from Runequest spawned a lot of interesting concepts and games over the years, from King Arthur Pendragon to Hero Wars/Heroquest to hundreds of non-Chaosium games big and small. For Chaosium Games, Runequest became a cornerstone of their publishing. 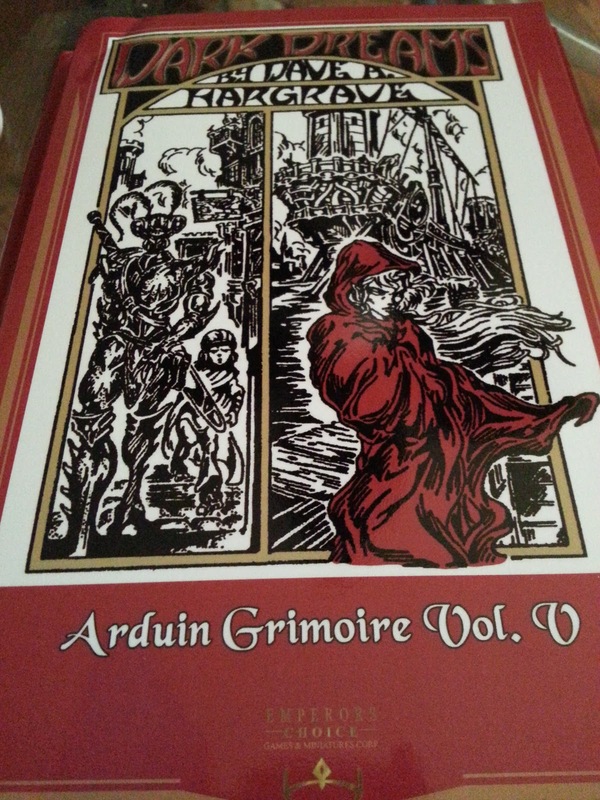 Their tabletop RPGs took ideas or the system from Runequest and adapted it to things like Lovecraftian horror and Occult Fantasy (if you've never seen Chaosium's translation of the French RPG Nephlim, you need to find a copy of it). Along the way Chaosium acquired the license to Michael Moorcock's Elric Saga and published boardgames and a series of role-playing games based on Moorcock's characters and worlds. This lead to one of the earliest dark fantasy games, based on Moorcock's Elric called Stormbringer (with a brief sidetrack into the Elric! game for its 4th edition). Stormbringer spawned five editions and a wide variety of supplements over the course of its history. Flash forward to today (or a few months ago when this book came out) and Chaosium found itself in a hobby where fantasy is king, and they were no longer able to publish either of their fantasy properties. No more Stormbringer because the license to Moorcock's stuff is with another publisher, and no more Runequest name because, well, a lot of stuff happened. What's a publisher to do when they have the system and no name to go with it? Simple, they dig around in their history for a name that they do own (Magic World from the old Worlds of Wonder boxed set) and build a new game around it. Magic World is literally built upon the shoulders of giants. 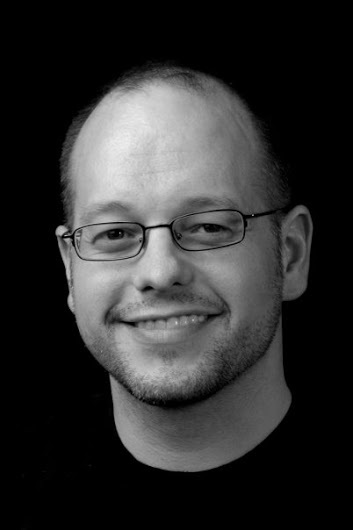 Editor Ben Monroe went through years worth of Stormbringer material and carefully weeded through it to take out the references to Moorcock's work but kept all of the flavor and assumptions of the underlying system's approach to fantasy gaming. The system eschews the standards of class and level for a skill-based approach that puts more importance on what a character knows and is capable of doing, and letting that define the character. While using the same Basic Roleplaying System that was originally developed for Runequest, it is a standalone game and does not require anything else to play. You could use the big gold book, Basic Roleplaying, from Chaosium to give your Magic World game more options, but it is not a requirement. 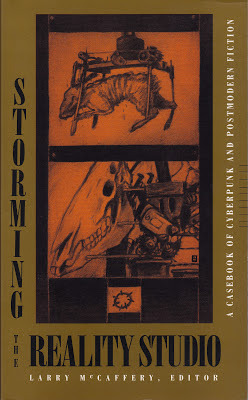 And if you're looking for creatures to populate your world, everything from old Runequest supplements to the Malleus Monsromo (one of the best monster manuals ever made) for Call of Cthulhu to the old Stormbringer stuff will be compatible. Some material, like the Call of Cthulhu monsters, may require a minimal bit of adaptation, but ultimately it will all fit. By its nature and ancestry, Magic World has a lustier approach to fantasy than with many other fantasy RPGs. For me, this is a good thing because I think that Magic World has less of a high fantasy feel to it (as typified by Tolkien and his many, many imitators) and more of (what I hate to call) "low fantasy" approach. I would use the label Swords & Sorcery, but I think that this would pigeonhole the game and make people think that it is capable only of characters like Elric or Conan or the Grey Mouser. 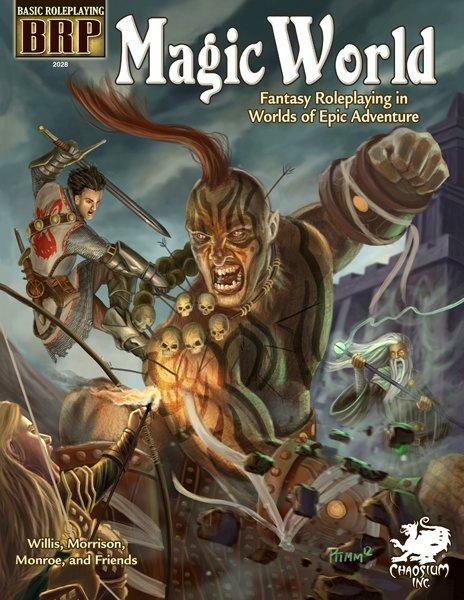 Magic World is available in PDF and print, either directly from Chaosium Games, or via traditional distribution through your local gaming store. If you want fantasy, but you are looking for something that is different from many of the fantasy games that are out there, you would not do wrong to check out Magic World. The real reason that my opinion on the matter doesn't count has zero to do with my being a guy. The real reason why my opinion doesn't count is because, whether I agree with the existence of this online convention or not (and I do, by the way) it is something that needs to happen. I've been gaming for a long time, a very long time, and I have always been lucky to be able to share my gaming with groups that were diverse in some form or another, whether due to gender, sexuality, ethnicity or some combination of these factors. The thing is, you cannot have too much diversity. That's what makes something like ConTessa important. Let's see more conventions like this, virtually and otherwise, where diversity is put at the forefront. Yeah, guys can't run the panels or GM the games. Not being able to do that is really going to kill anyone for a weekend, particularly when they can go back to their set ways the rest of the year. This is a good idea, whether anyone else likes it or not. Click one of the links and join a game. Check out the +ConTessa G+ profile. Play something that you might not normally play. Have some fun and focus on the games, not the shape or color of the people. Ultimately we're all just people and it shouldn't matter who wants to run a game or a panel. I spoke with +Jeff Dee on the Dorkland! Roundtable. Apparently a couple of the questions about the early days of TSR were a bit too far back for a clear remembrance, but I think that I did get some interesting stories about the early days of TSR out of him. We did talk about the background of Villains & Vigilantes, how it came about because of one of the deep, philosophical questions that only comic fans worry about (which you can find out about in the video). We also talked a lot about his work as an artist and his recent embracing of Kickstarter.